Quartz: The New King of Counters? While granite has been the undisputed king of counters for decades now, chosen by builders and homeowners alike for its unmatched beauty and natural hardiness, the past few years have seen a new contender rise through the kitchen counter ranks to give stone slabs a run for their money. 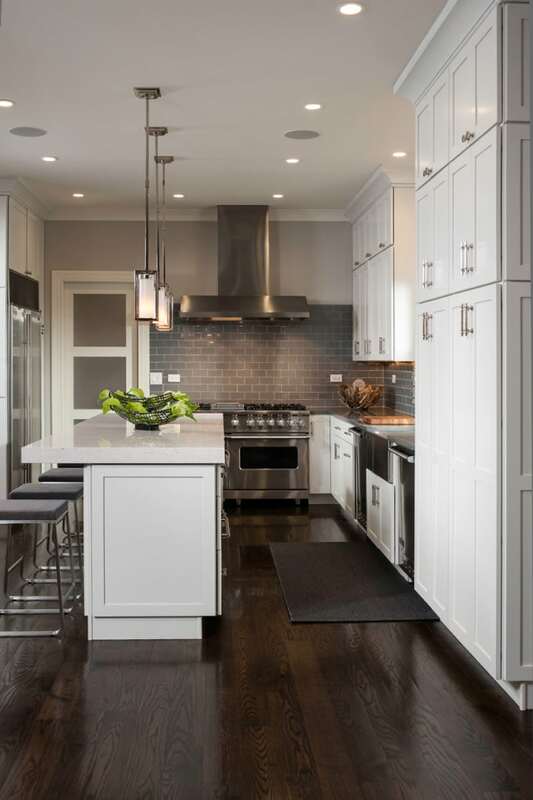 Even a cursory glance through decor blogs and design sites like Houzz reveal that more and more homeowners are turning to quartz for high use areas like kitchens. And the trend is only growing. 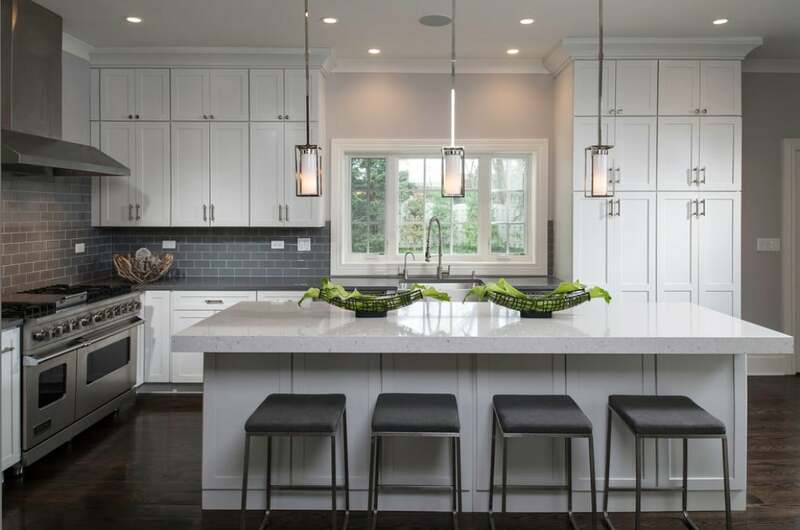 According to recent trend studies from the National Kitchen and Bath Association and Houzz, Quartz has overtaken granite as the most popular countertop material for kitchen renovations in urban and suburban areas. 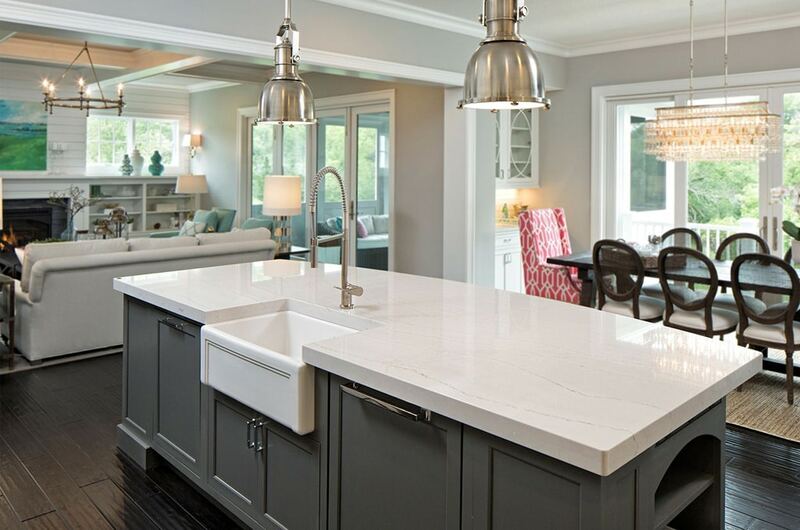 Although the beauty and uniqueness of granite will never be surpassed, the durability, limitless styles, and hassle-free maintenance of Quartz all speak to why it’s a major (and growing!) contender in the world of countertops. Quartz is an engineered material comprised of about 94% ground natural quartz, one of the hardest minerals found in the Earth, and 6% binding resins. 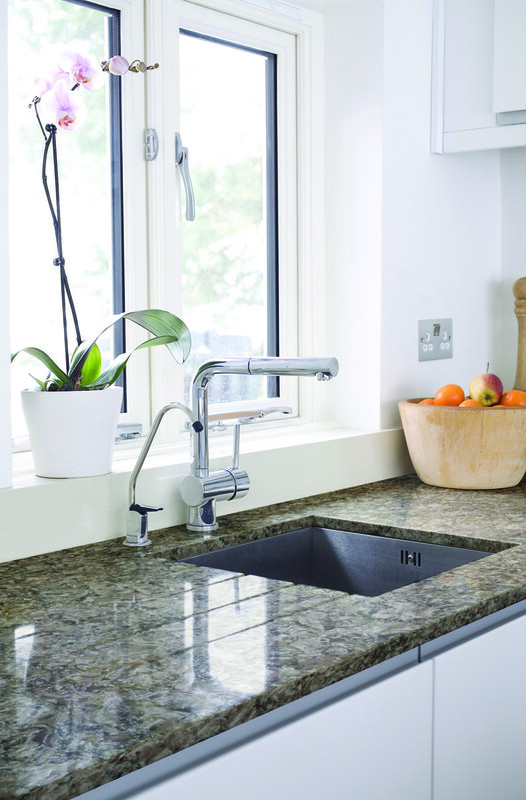 It was first developed by the Italian company Bretonstone in 1963 using a patented process that has since been licensed to 52 other companies, including top manufacturers Silestone, Caesarstone, and Cambria – all available at Sellers. 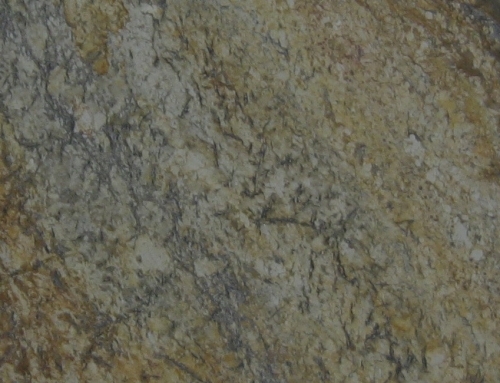 Like granite, Quartz counters are super durable, resisting scouring, scratching, chipping, and are relatively heat resistant. Unlike natural stone, Quartz is nonporous, meaning it’s nearly stain-proof, will never need resealed, and resists bacterial growth far better. Because it is man-made, the sheer variety of colors, textures, and looks available is nearly endless. 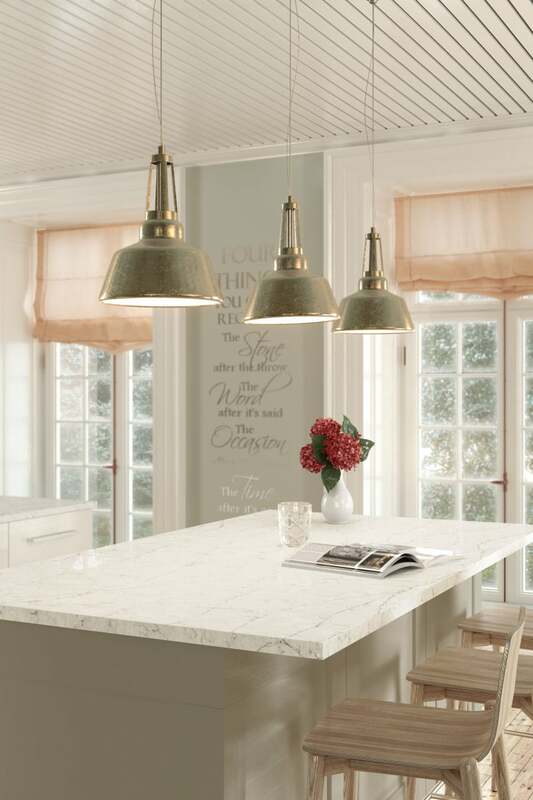 Some collections offer a uniform color and luster, a more homogeneous look that really plays well with a modern kitchen aesthetic, while other styles use crushed glass, metal flakes and other materials to mimic the random, patterns, veining, and textures of natural stone – perfect for more traditional kitchens. Though heavier than granite, Quartz is also more flexible, allowing a little more leeway in terms of customization and installation. Quartz is a fabricated material made with crushed quartz, resin, and other stone, metal, and glass to produce a nearly endless variety of colors, patterns, and veining. It was developed in Italy in 1963 and is currently produced by 52 countries around the world. Quartz offers the same incredible durability of granite – it resists scratching, scouring, chipping, and is relatively heat resistant. Because it is nonporous, it also is nearly stain-proof and ultra-hygienic. It’s fantastically easy to clean and maintain. Although heat resistant, Quartz can be susceptible to scorching from direct contact with incredibly hot cookware. Trivets and hot pads are recommended. And while Quartz can mimic the look of natural stone, it will never be a truly one-of-a-kind piece like some stone slabs. Contact Sellers today or drop by one of our showrooms to see about installing or updating your home with beautiful Quartz counters!